Got an eye for colour and maybe a love for fonts? Perhaps graphic design is the career that’s calling you. From social media to branding, business advertising to logo design – graphic design skills are becoming increasingly useful in a variety of industries. Every body wants good graphics to make their brands and their social media presence to looks – which means, there’s plenty of work to be found. 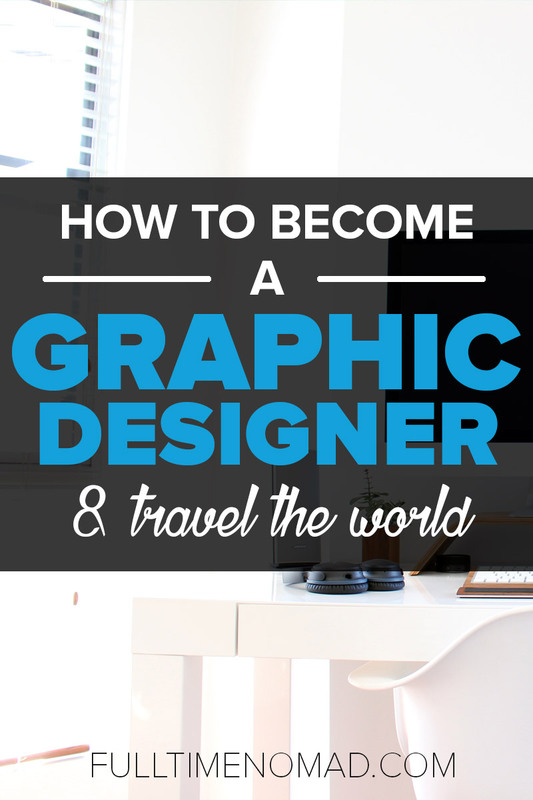 So if you’re interested in learning how to become a graphic designer and use it to earn money while you travel the world – you’re in the right place. Graphic designers are best described as communicators. They convey messages in a creative visual manner. They are the people who create all the adverts, billboards, brochures, business cards and other marketing communications materials that you see. There’s a variety of work that falls into the graphic design bucket. Graphic designers can work for design or ad agencies or as freelancers. A graphic designer can work in either print or digital departments. What skills do you need to become a graphic designer? 1. Design software: There are different tools and software that you’ll need for your design work. It helps to be skilled in at least Photoshop, Illustrator and InDesign as they are the most popular design software and probably the best around. 2. Visual Creativity: Creating designs will be your everyday work. You’ll have to create original designs from clients’ ideas and briefs. So you definitely need to have the visual creativity skill to be able to turn an idea into a visual piece of work. 3. Typography: This is the text language in graphic design. Fonts are an integral part of a beautiful design so you should have a good understanding of the different font families, tracking, line-height, and more. 4. Basic HTML & CSS: Even though HTML & CSS are programming languages, they are important to a graphic designer – especially if you plan to design websites. HTML & CSS work on structure and style of a system. With basic knowledge on the two languages, you can easily get on the back-end of the website or system you’re working on and manipulate the page if need be. 5. Layout Optimization: You should be able to structure different elements such as images, text, videos, icons as so on so that the design you create is clear and won’t confuse the viewer. There are lots of job categories for job designers. The kind of designs that designers create are endless. Popular design jobs include: websites, logos, brochures, flyers, business cards, adverts, postcards, letterheads, catalogs, invitation or greeting cards, social media pages and so much more. 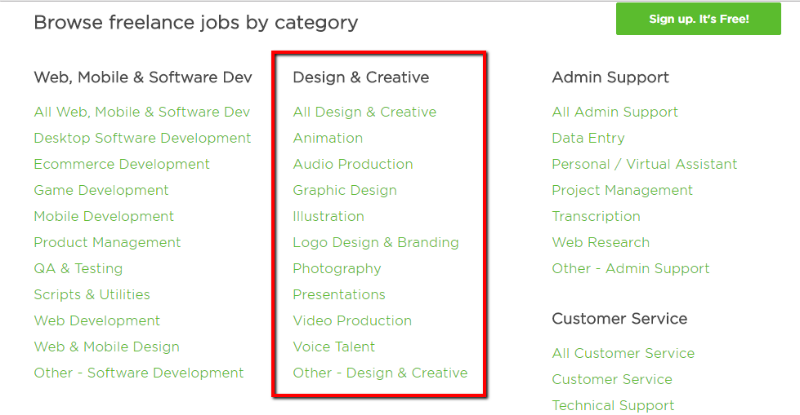 Here’s a glimpse at the types of design jobs available on Upwork. Like every other profession, the amount of money that graphic designers make varies in different parts of the world. Also, how much a designer makes will be determined by their experience, education, client and geographical location. Experienced and highly talented designers have been known to charge upto $300 an hour. It’s common for designers to charge between $75 – $150 per hour. However, newbie graphic designers often start out at $20-$30 an hour and work their way up. Ok so now you know what the job involves and it has you intrigued. So how you go about acquiring the skills and landing a job so you can become a graphic designer digital nomad? Well, this is what you need to do. Now that you have a brief understanding of what a graphic designer is and what they do, it’s time to get the real work of working as a graphic designer started. To start off, seeing as there is a lot that a graphic designer can do, you have to pick one area of interest instead of trying to do everything. Define the one area of focus that you want to concentrate on. This will make it easy for you to learn and perfect that area. It would be best to pick an area that you already love or that is of particular interest to you. Once you’ve figured the area you want to focus on, the next step is to acquire the skills necessary for you to kick of this graphic designing dream. If you already have a knack for design, that’s great! But creativity can only take you so far if you’re not familiar with design tools and terminology. The graphic design field is constantly changing and it’s important that you keep up with the artistic trends and latest tools in use, otherwise you will fall behind. Constant practice will make you good at what you do. You can practice by creating designs in your area of focus. You don’t necessarily have to use these to earn a living but they’ll be good for your portfolio. If you’re not yet confident about working with clients you could consider creating graphic packs such as fonts, icons, vectors etc. or web templates and sell them online. This is definitely a good way to practice your skill. You can also perfect your skill by redesigning other people’s work instead of having to come with a design from scratch. This will be good as you try figuring out what kind of designs excite you and what you’re really good at. Remember this is for practice only and not for commercial use. We cannot recommend having a personal website enough! A website featuring your work will help you have an online presence and show potential clients what you can do. It will also be an added asset when you’re looking for clients as you can show them what you’ve already done with your skill. A well designed website builds trust with potential clients, giving you a better chance of getting long term work. Deciding what to charge as a freelance graphic designer may be tough. Do some research on platforms like Upwork and see what other designers with your level of expertise and in your location are charging. Consider your level of expertise and then take an average figure and use this as your freelance fee. You can always increase your fee as you gain more experience and exposure. Once you have your website set up, you can confidently start submitting applications to job posts on freelance websites that interest you, in a bid to find long term clients. Also ask family and friends for referrals. Check local posts in your area or try Facebook groups (for freelancers and for entrepreneurs) as there are lots of people there looking for graphic designers. Networking is important for any freelancer including graphic designers. Look for online communities that you can join to make friends, learn more about graphic design and even find new clients. Popular graphic design communities include: How Design, DeviantArt, and ColourLovers. A good resume will find you a few clients but an impressive portfolio will get you lots of clients. For a client to understand your capabilities, they need to see previous work that you’ve done. Unlike other professions, you don’t need to work for someone to showcase your skills. So start working a few solid samples for your portfolio and use these to start impressing clients. Learn how to live as a digtal nomad while running a successful graphic design business. It may seem difficult but we have a program called The Digital Nomad Roadmap that will give you pointers on what or not to do to make it a SUCCESS. 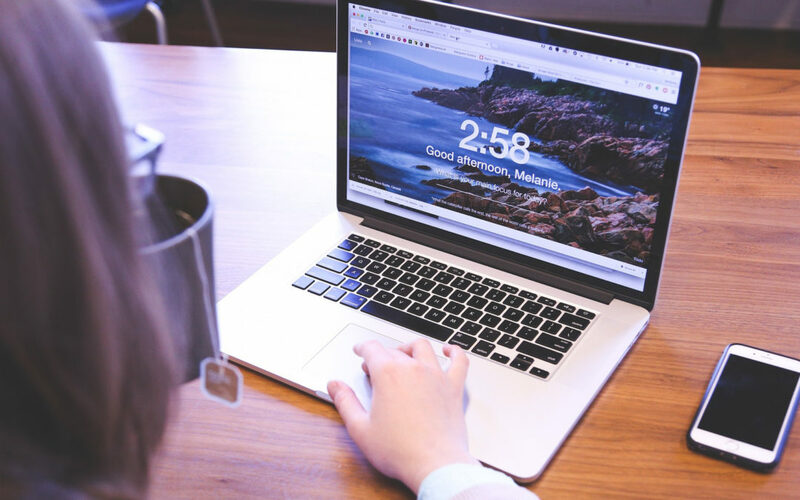 Freelancing sites are a perfect way to get started if you want to find your first freelancing job fast. Upwork is one of largest freelancing site with thousands of graphic design jobs. It’s very popular among clients so once you get your footing on the site you should be able to find jobs that pay well. Graphic design jobs on Upwork include: Web design, photoshop/photo editing, logo design, animation, video production, illustration, ad creation, branding, and so much more. Freelancer is similar to Upwork and also features lots of graphic design jobs. Getting jobs on the site depend on how well you perform in contests. Participate in as many contest as you can to increase your chances of winning big projects. PeoplePerHour is another popular freelance jobs board with lots of freelance designer jobs for web designers and graphic designers. The site is a bit different from Upwork and Freelancer as it focuses on small jobs that can be done in an hour or less. These are referred to as ‘hourlies’. These are great if you want some work to test out your skills as you can do as many hourlies as possible and get paid for it. 99esigns is major site focusing on design jobs. Here you have to participate in contests just like in Freelancer. The good thing is that the site has lots of freelance designer jobs, so you can take part in contest for graphic design, web design, logo design and product design jobs. Envato studio, is growing in popularity especially among graphic designers. The site is open to designers and programmers only. Thorough vetting of members is done to ensure that only the best get in. Jobs of the site are short term and with most paying between $50-500. AwesomeWeb is home to freelance graphic designers, web designers and programmers. A manual review of your application will be done before you can join the site and start working. After approval, you can work with clients directly. Unlike other sites that are free but charge a service fee, AwesomeWeb charges a monthly fee only. The fee is $27. DesignCrowd is the place to find freelance designer jobs including website design, logos, flyers, posters, business cards etc. You have participate in a contest and get paid if you win. Some clients will pay a base payment even if you don’t win the contest so don’t shy away from contesting. Working remotely as a graphic designer is not only exciting, but also very rewarding. As a graphic designer you’ll get to do what you love, from anywhere in the world while making a decent income. Working as a graphic designer is flexible and all you need is your laptop, design tools and a good internet connection. Once you have a few reliable jobs you can get on the road as start living a digital nomad life. You don’t need to start a big fancy business. You don’t need to find full time work with a company if you don’t want. Your graphic design skills are enough to help you create a freelancing business that you can run from anywhere in the world. Graphic design is ever growing and there’s no limit to how far you can go in your freelance business! If you are interested in becoming a freelance graphic designer, then it’s about time to took the plunge and start learning as much as you can! More questions about becoming a graphic designer and traveling the world? Share with us in the comments section. Great Post!! i was searching for similar information and stumbled on your article which i think very helpful for candidates like us who are willing to make career in graphic designing which is a very diverse field and interesting field, and i am sure i am going to bookmark this page.